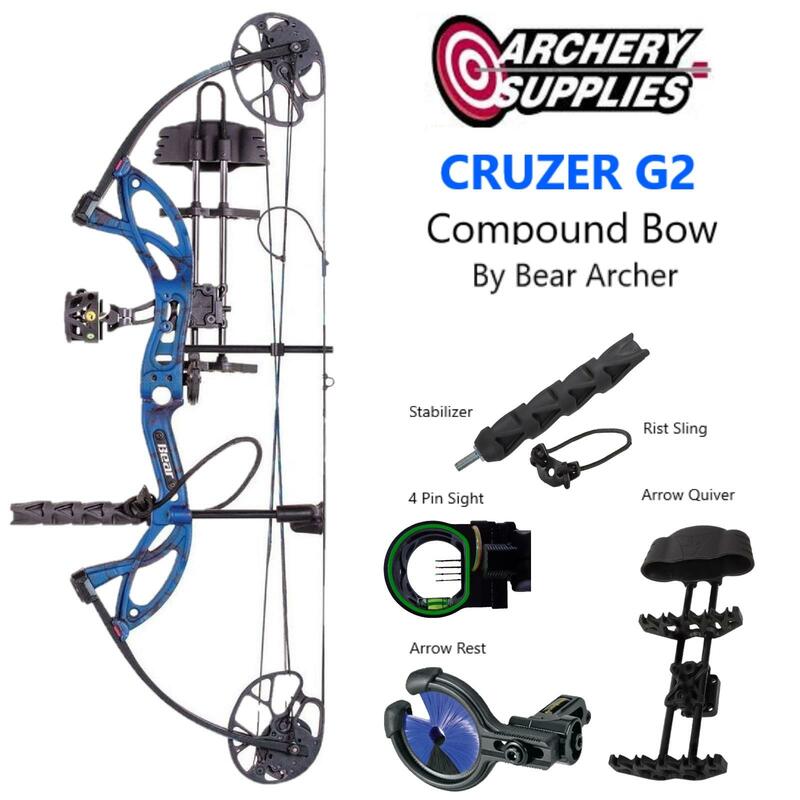 Cruzer G2 compound bow Bear Archery Bear Archery Cruzer compound bow Archery Supplies Australia's largest and Best Archery Equipment warehouse. Draw length 12-30", 5-70# weight,Axle to Axle 32". Kit includes Sight, Rest, Peep, Dloop, Bow Quiver. 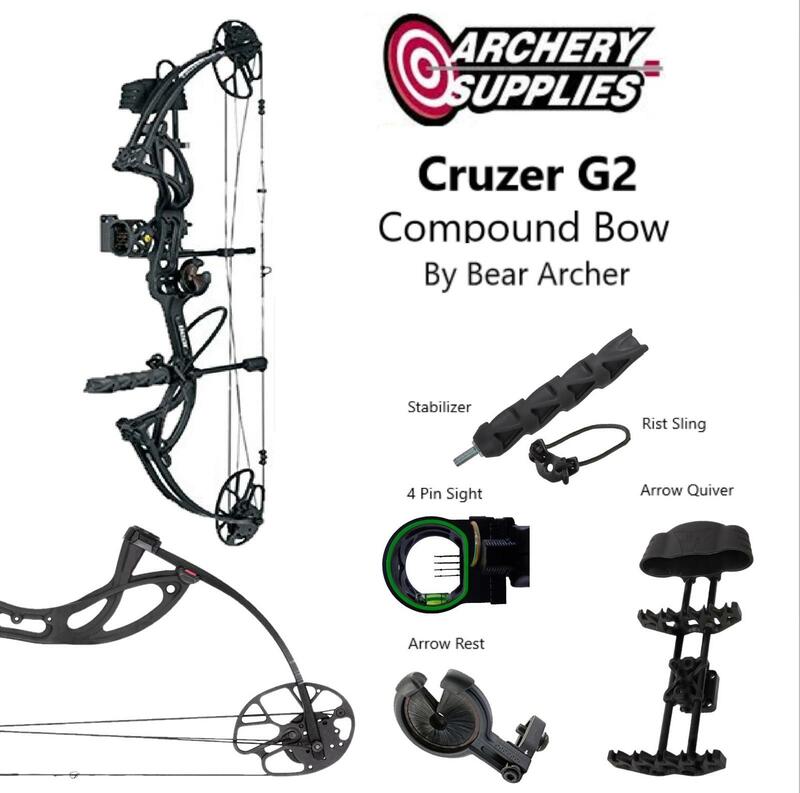 The Bear Cruzer G2 comes fully loaded in a complete ready-to-hunt bow package. 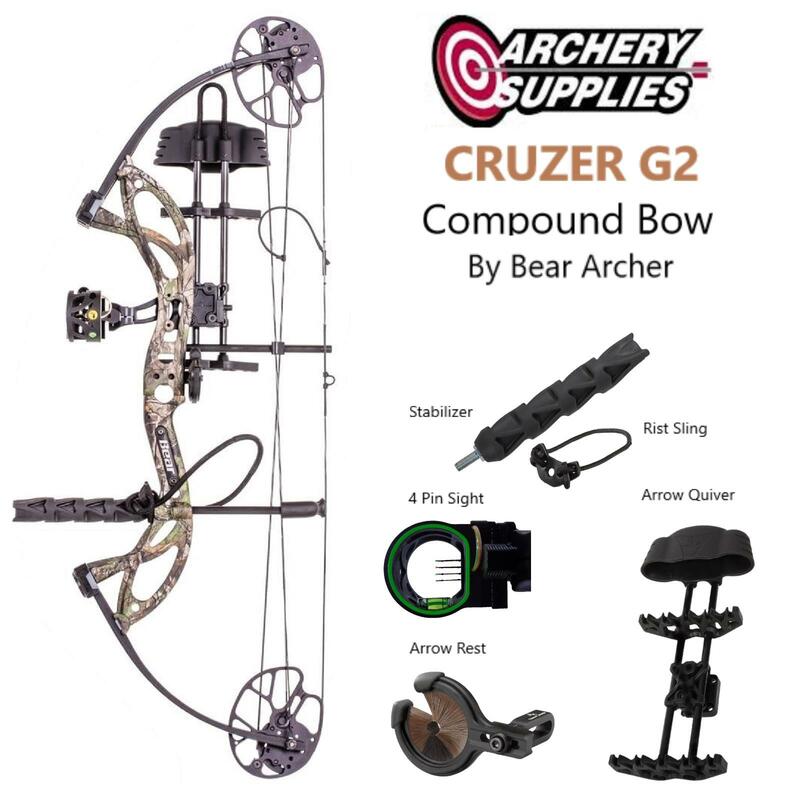 Bear Cruzer G2 is infinitely adjustable that allows for a draw weight adjustment from 5 to 70 pounds and lengths from 12 to 30 inches. Endura Fiber Quad Limbs - compressed compound bow limbs that store lethal, controlled power and reduce overall shock during the shot. SonicStop String Suppressor - brings the shoot string to a solid stop, increasing the forgiveness and stability of the bow. 2017 Advanced Grip - Eliminates hand torque with correct form, offering easy accuracy. 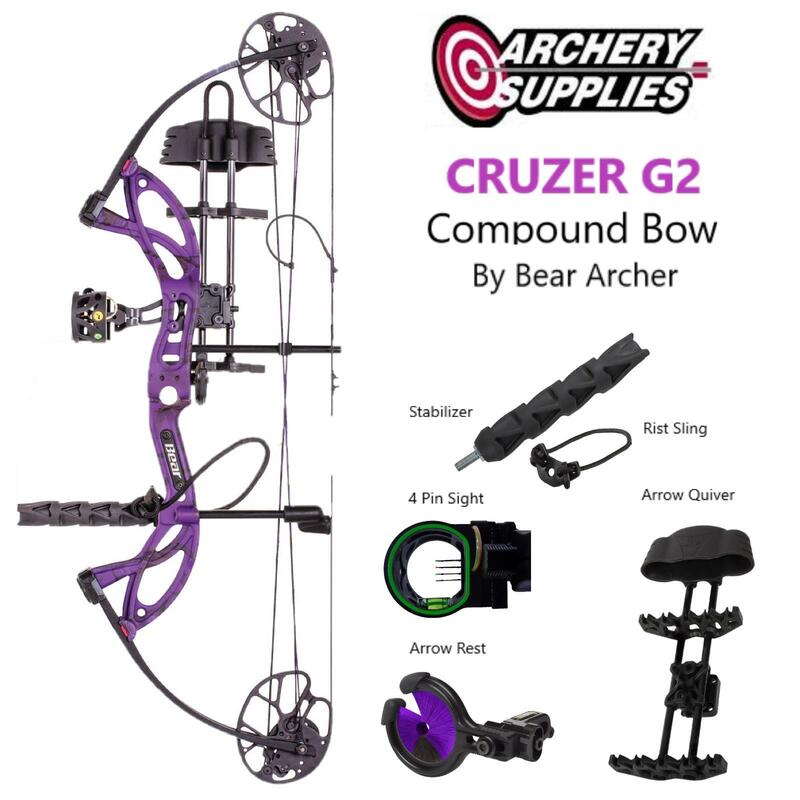 MV1 Cams - Cruzer G2 will launch arrows downrange with an IBO speed rating of 315 fps, giving improved accuracy at longer ranges, or more penetration with a hunting arrow. (Arrow Rest) Trophy Ridge Whisker Biscuit - providing complete arrow support so your arrow stays put even after knocking, shaking or dropping your bow. At the shot, they allow the arrow to pass through without fletching damage. (Sight) Trophy Ridge 4 Pin Fibre Optic Sight - 4 light-gathering pins, sight level, contrast glow ring. (Peep Sight) String Peep Sight - 5 mm diameter hole and fits horizontally in bowstring. (Arrow Quiver) Trophy Ridge Bow Quiver - lightweight durable moulded stem and a black sound dampening hood. There is a cutaway hood to ease removal and installation of your arrows. (Stabiliser) Trophy Ridge Stabiliser - with braided bow sling draws vibration out of the bow and absorbs it like a sponge.